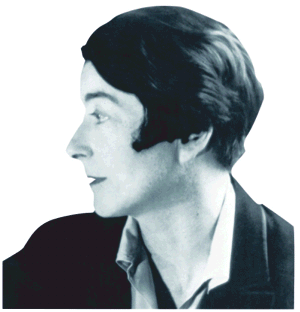 Eileen Gray was a modernist designer, born in Enniscorthy, Ireland in 1878. She was an artist, interior designer and architect. She spent her early years training in London, but spent most of her time in France. Very few women worked in design during the early twentieth century, as this profession was male dominated. Her work has always been held in high regard by her fellow designers. Her designs were originally for wealthy clients. However, it is only in recent years that her work has been celebrated by a wider audience. Since the 1970's, her designs have been manufactured on a larger scale and for a wider audience. Her work can be regarded as both functional and artistic. Much of her work was at the leading edge of the modernist movement and was influenced in particular by the Art Deco design movement. The Transat chair was designed as a stylish ‘deck chair’. Its name was a reference to the type of chairs used on the decks of Transatlantic Liners. It was made in Italy and has a lacquered birch frame with leather upholstery. Most of the joints were chromed / gold plated brass. 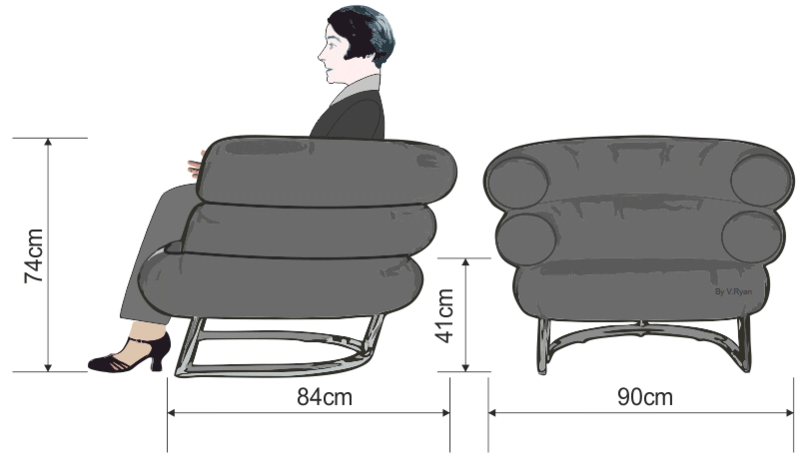 The Bibendum Chair (1917 - 1921) is often reproduced today. 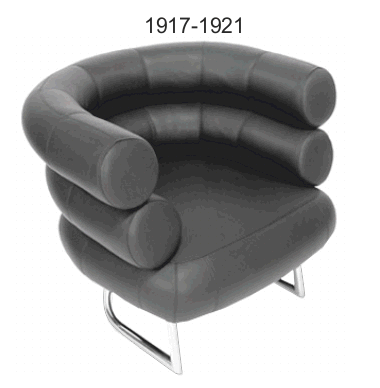 It has a chromed steel frame and curved leather tubing, giving rise to an extremely comfortable seating position. The seat is supported by a beech frame with rubber webbing. The chair is modernist in style, very different to traditional designs of the same period. It has a simple and functional form and is a timeless design, still popular today and regarded as a classic, iconic design. It was originally designed for Madame Mathieu Levy, a wealthy client. Gray was commissioned to design Levy’s apartment in Paris. During this commission the Bidendum Chair was designed. The name for the chair was taken from the Michelin man, a character developed to sell tyres.